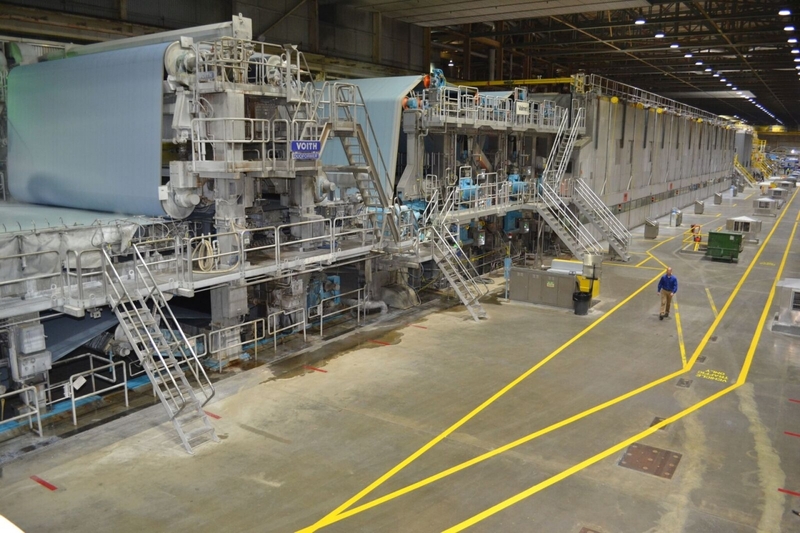 September 28, 2018 /3BL Media/ - Sappi North America, Inc., a leading producer and supplier of diversified paper and packaging products, today announced the end of a year-long rebuild of Paper Machine 1 at Sappi’s Somerset Mill in Skowhegan, Maine. In February 2017, Sappi Limited announced a major investment at the Somerset Mill to establish a strong platform for growth in paperboard packaging, while maintaining Sappi’s leadership position in the graphic paper market, increasing annual production capacity at this mill to almost one million tons per year. These new paperboard grades provide luxury packaging and folding carton applications and complement our existing specialty packaging products, which represent an important asset in the food packaging and labeling industries. Sappi was the first company to set the standard for graphics paper, with roots extending back to 1854. Now, it is setting the new standard in paperboard packaging. It is the first provider that checks all the boxes for converters: high-quality, wholly independent, based in the Northeast, financially stable and continuously investing in new technologies and sustainability. All of the new product lines will have global availability and provide convertors with superior color consistency, printability and downstream performance. Sappi North America, headquartered in Boston, is a market leader in converting wood fiber into superior products that customers demand worldwide. The success of our four diversified businesses – high quality Coated Printing Papers, Specialised Cellulose, Release Papers and Specialty Packaging – is driven by strong customer relationships, best-in-class people and advantaged assets, products and services. Our high quality Coated Printing Papers, including McCoy, Opus, Somerset and Flo, are the key platform for premium magazines, catalogs, books and high-end print advertising. We are a leading manufacturer of Specialised Cellulose used in a wide range of products, including textile fibers and household goods, and one of the world's leading suppliers of Release Papers with our Ultracast, PolyEX, Classics and Neoterix lines for the automotive, fashion and engineered films industries. Our Specialty Packaging products, such as LusterPrint and LusterCote, represent an important asset in the food packaging and labeling industries, and our new paperboard grades provide luxury packaging and folding carton applications. Customers rely on Sappi for high technical, operational and market expertise; products and services delivered with consistently high quality and reliability; and, state-of-the-art and cost-competitive assets and innovative spirit. Sappi North America, Inc. is a subsidiary of Sappi Limited (JSE), a global company headquartered in Johannesburg, South Africa, with more than 12,000 employees and manufacturing operations on three continents in seven countries and customers in over 150 countries around the world. Learn more about Sappi at: www.sappi.com.